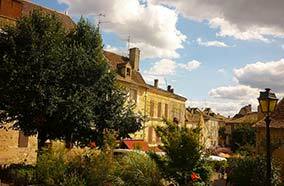 In southern Dordogne, among the vineyards, the city of Bergerac is a very pleasant destination. 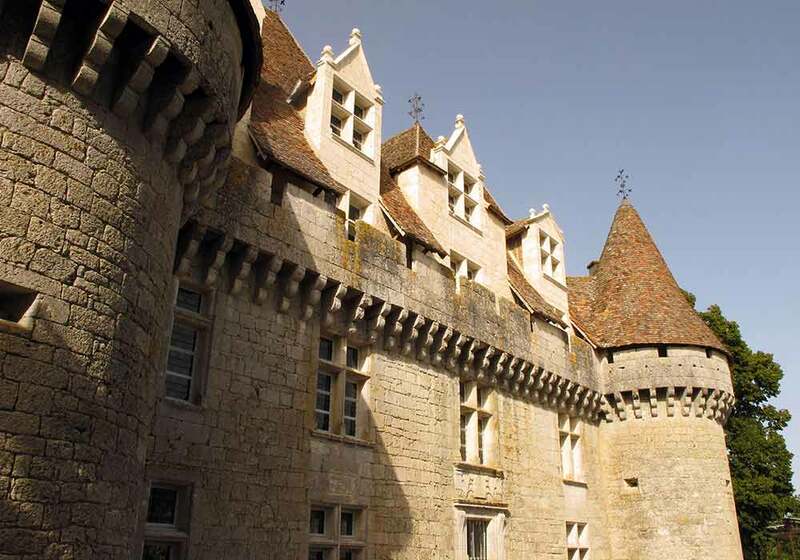 Stroll along its picturesque lanes and admire the half-timbered houses of Old Bergerac. 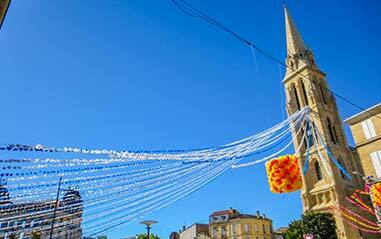 You’ll even encounter the famous Cyrano de Bergerac on Place Pélissière. 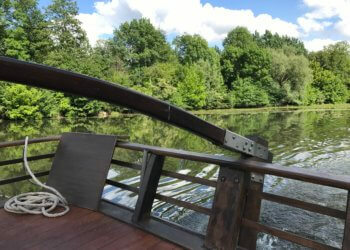 Old-fashioned barges dock on the banks of the Dordogne River, inviting you to discover the history of the Périgord and its wildlife. 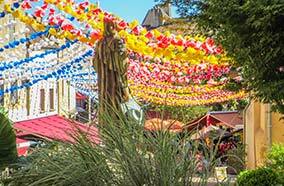 Don’t miss the Notre Dame church and the tobacco and wine museums. The miniature port on the Campréal pond offers a delightful escapade to visitors of all ages. 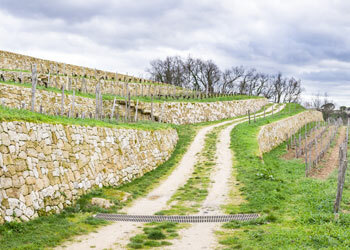 Aquitaine is a region recognised for the quality of its vineyards, and Dordogne contributes to this reputation with the wines of the Purple Périgord. 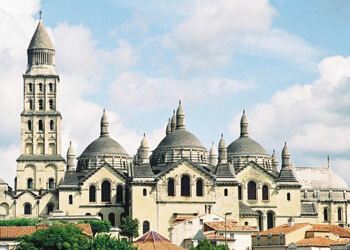 The Bergerac area is renowned for its red wines such as Pécharmant, Côtes de Bergerac and Montravel. 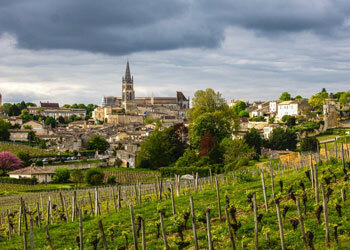 Another famous wine is Monbazillac. 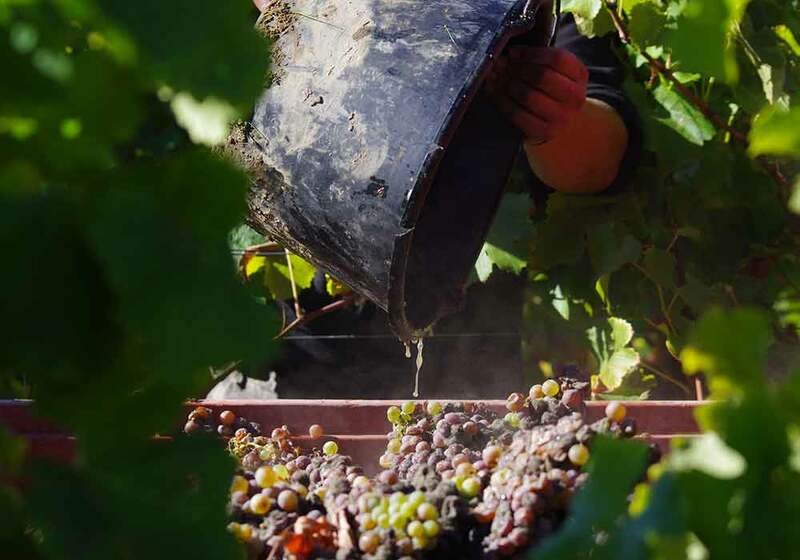 This sweet white wine is produced south of Bergerac, on the left bank of the Dordogne River. The other local AOC white wines are Côtes de Bergerac, Rosette, Côtes de Montravel and Saussignac. 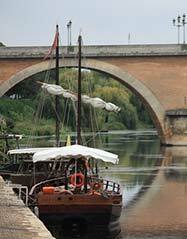 Dordogne is nicknamed the “land of a thousand and one castles”. South of Bergerac, the Château de Monbazillac will enchant you with its unobstructed view over the Bergerac and Monbazillac vineyards. You’ll also love the architecture of its façade and the beauty of its park. ipsum fringilla accumsan risus. non Nullam quis, adipiscing leo. porta.